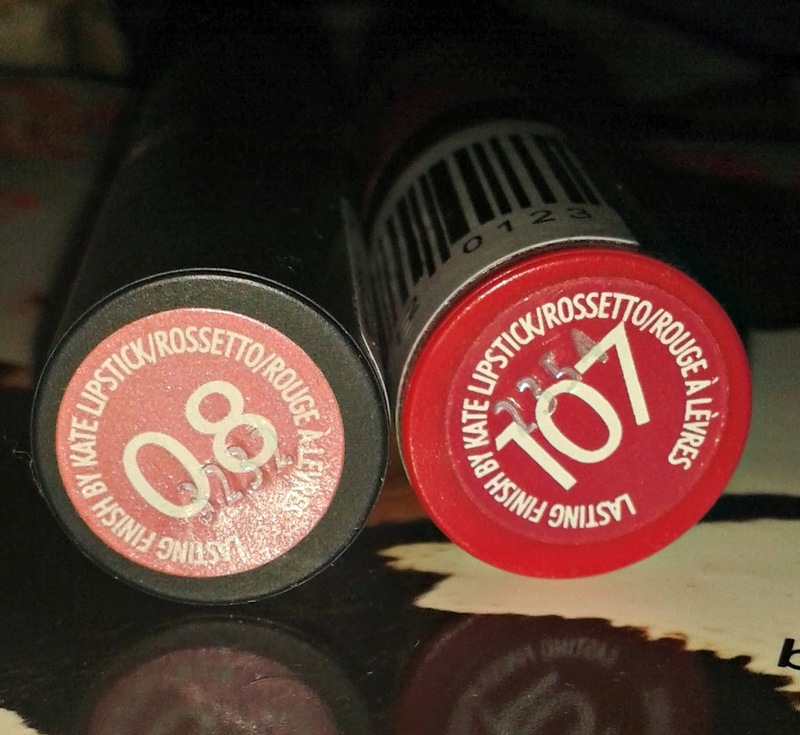 So, if you saw my Autumn Makeup Staples post, you may have seen these two lipsticks mentioned. I recently got these from Superdrug for £5.49 which is amazingly good as these are very high quality lippies! As you can see, Shade 08 is more pinky/neutral toned compared with 107, which is berry toned. Lets start off with packaging. Shade 08 is in a black tube as it is part of the original Kate Moss line with Rimmel, and also as it doesn’t have a matte finish. Shade 107 on the other hand, does have a matte finish. Both have Kate Moss’ signature on the lid which I think looks really cool. They don’t feel cheap in your hands, and they feel as if they would be good for travelling with. Personally, I really like the packaging of these Lipsticks, and I like how the stickers at the bottom are roughly the same colour as the lipstick, as it makes it easier to find what you are looking for. I really like this shade for every day wear, as it is a ‘my lips but better’ shade for me. The finish is not overly shiny, and it isn’t overly glittery either. It isn’t the smoothest lipstick to apply, however it isn’t difficult and I find that it lasts on the lips for roughly 2 hours. It isn’t the most long lasting lipstick in the world, but personally I don’t mind that! As you can see, this is a lot darker than 08. The finish is Matte, but I think you would have to blot this to get it perfectly matte, because as you can see there is a iddy biddy squiddy bit of shine to it. This lipstick will be great for the party season, as its so bold, but not tacky. I really love it, but haven’t really had any occasion to wear it yet! Hopefully I’ll find somewhere to rock this shade soon! For the price (£5.49) I don’t think you can complain with these lipsticks. 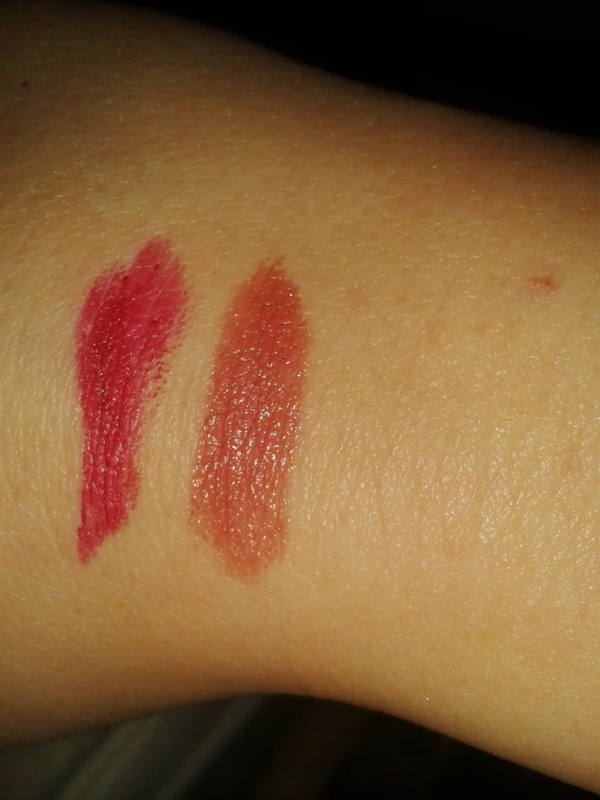 They are very pigmented and both of the swatches, I’ve only used one coat of lipstick. The colour range is quite broad, so you are bound to find something to your taste. 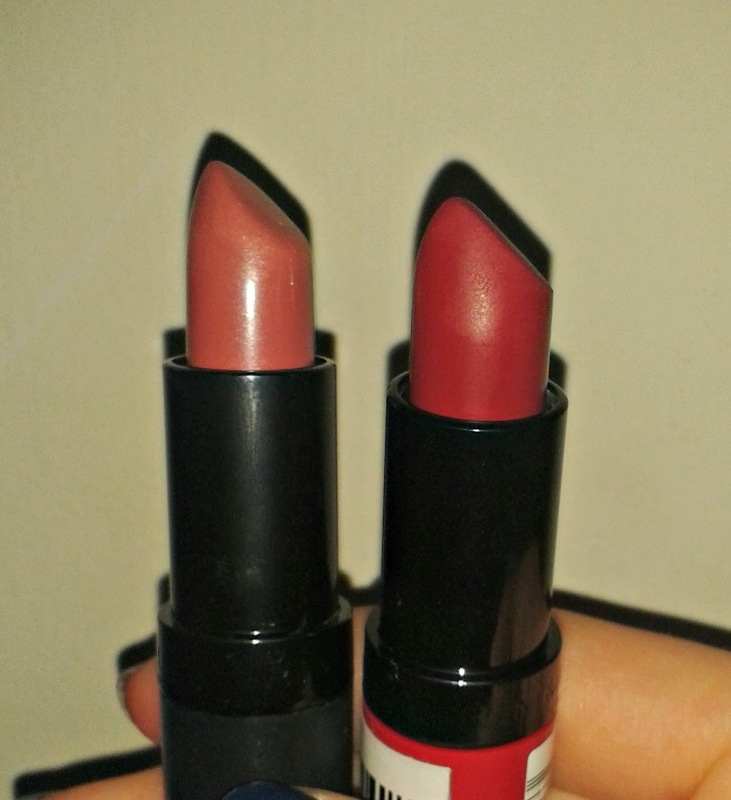 Speaking of taste, both of these lipsticks smell quite fruity/vanillaey (pretty sure that is a made up word Lauren!) But it doesn’t linger. 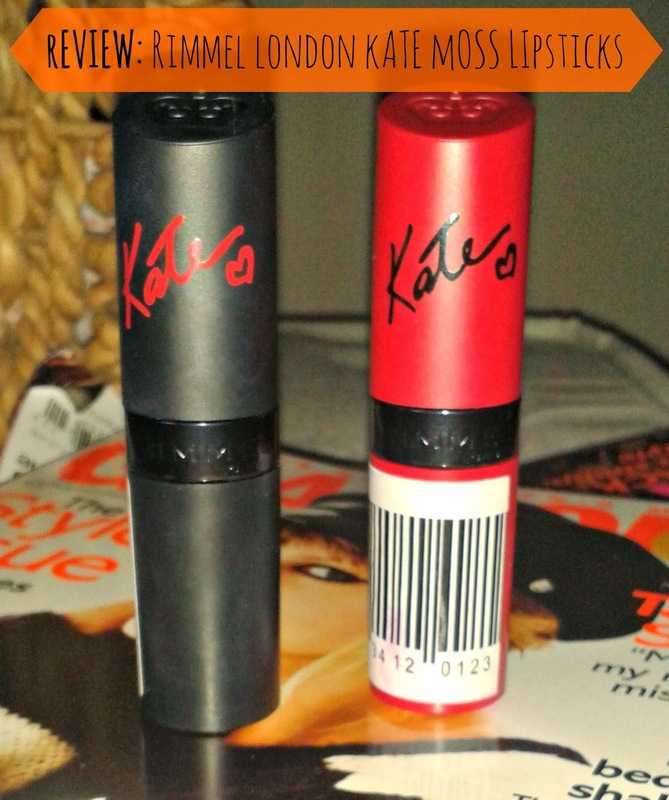 Have you tried any of the Kate Moss Lipsticks, What did you think?